Being born's a hell of a lottery. 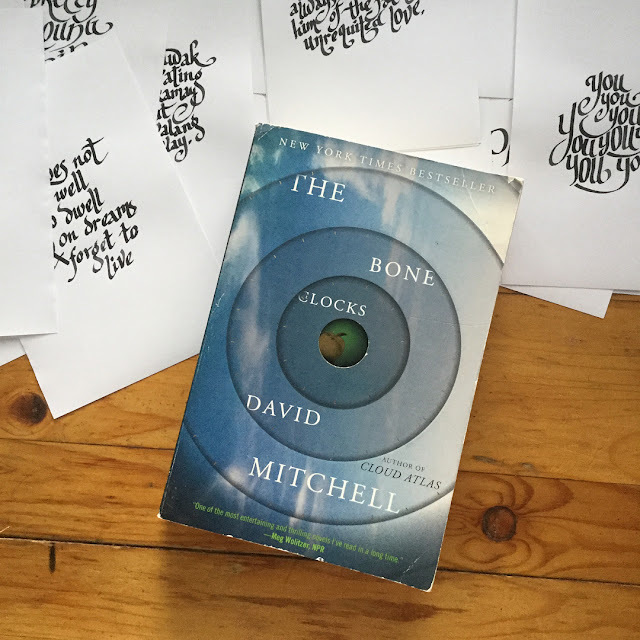 About The Bone Clocks by David Mitchell*: Following a scalding row with her mother, fifteen-year-old Holly Sykes slams the door on her old life. But Holly is no typical teenage runaway: a sensitive child once contacted by voices she knew only as “the radio people,” Holly is a lightning rod for psychic phenomena. Now, as she wanders deeper into the English countryside, visions and coincidences reorder her reality until they assume the aura of a nightmare brought to life. I seem to be having a really good run in our local thrift store lately. Problem is I can't seem to keep up! I have a pile of books begging to be read and here I am, still reading (and loving) Neil Gaiman's The View from the Cheap Seats. Talk about a reading slump! 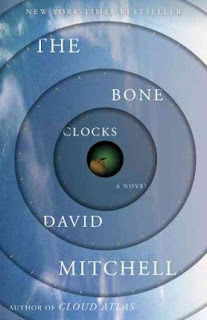 Which should I read first - The Bone Clocks or Cloud Atlas?